So, my Instagram feed has been full of Toronto food and sites and I’m finding a ton to blog about here…and I will be doing that. But right before I left for Toronto, Jason and I were in Turkey and I want to talk about some of the amazing things we did and saw there. 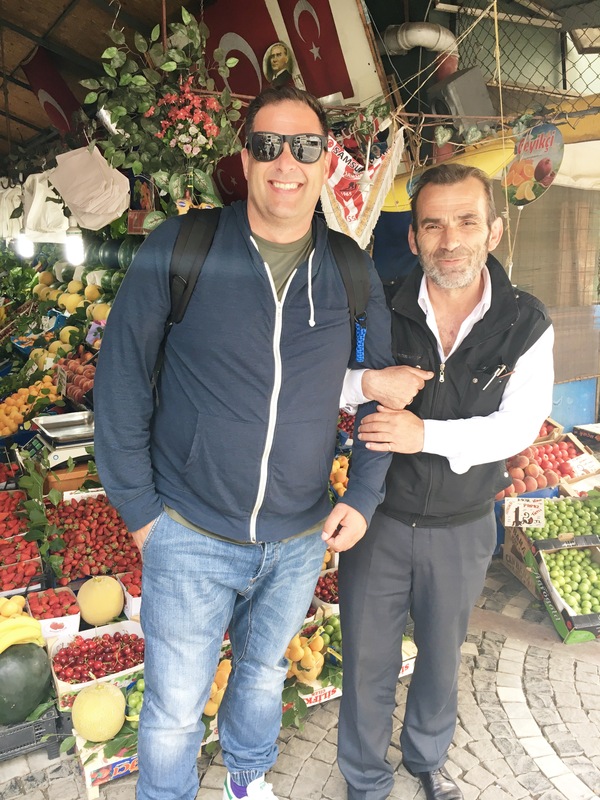 One of the highlights of our trip to Istanbul was the walking foodie tour that we did with Culinary Backstreets . I found out about them as they were rated extremely highly on Trip Advisor. They actually do 8 different tours in Istanbul and we went on the Born on The Bosphorus tour. Our tour could have had 2-7 people but we were lucky to be on our own with our guide Ipek. Ipek really made our experience special. She was young, fun, enthusiastic and extremely knowledgable….which meant that we learned about so much more than just food. 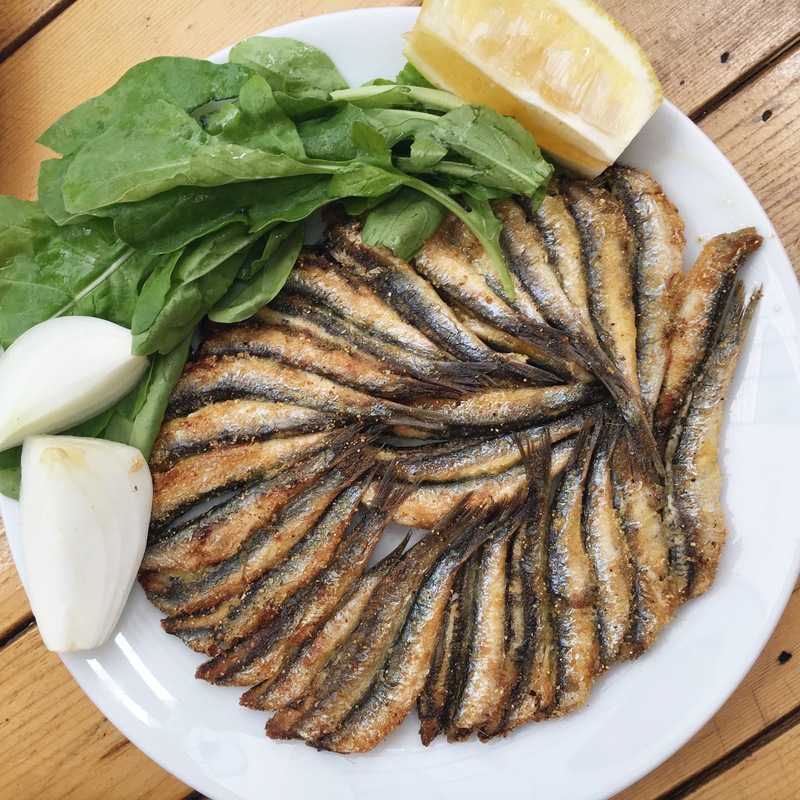 Ipek filled us in on the history and culture behind the food, making it so much for than just a foodie tour. I will apologize now for the length of this post, but there just is so much to cover! Ok, let’s go! 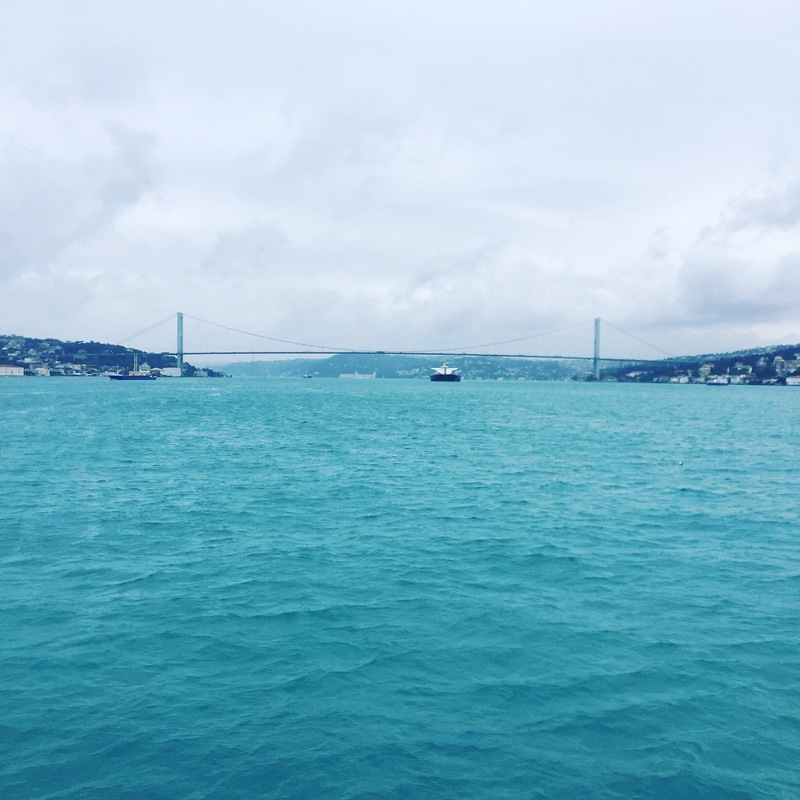 The Bosphorus Straight separates the city of Istanbul and the European and Asian continents. We visited three distinct waterside neighbourhoods. Starting on the European side in Beşiktaş, we covered breakfast. Ipek warned us that over the 6 1/2 hours, we were going to be eating a lot of food, so tasting was key and not going too crazy! Our first breakfast, as she called, it was forming the basement of our stomach. 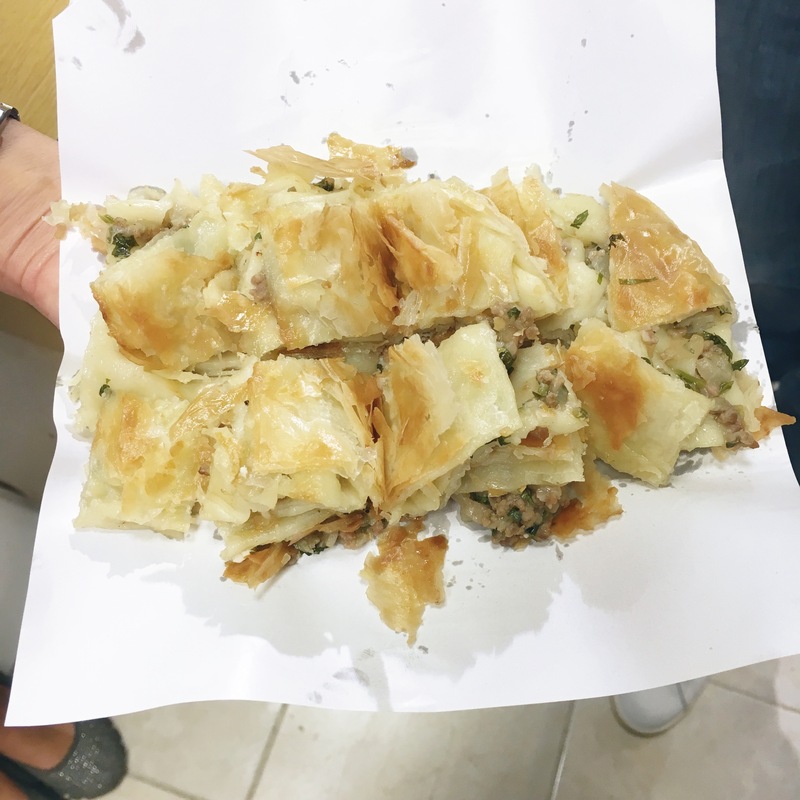 We tried Börek, a breakfast pastry made from phyllo. We tried meat and cheese and preferred the meat…but they were both delicious! Apparently not many places make meat Börek, so it sells out quickly in the morning. 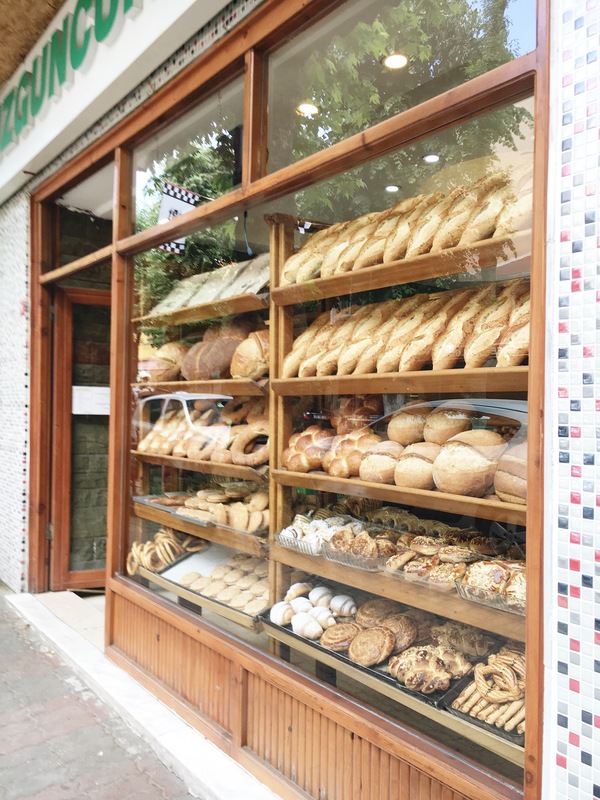 Bakers in Turkey have to go through an apprenticeship program, so it’s pretty serious business! Next was our second breakfast. We went to a street known to be the brunch street, where brunch is served in the cafes all day. 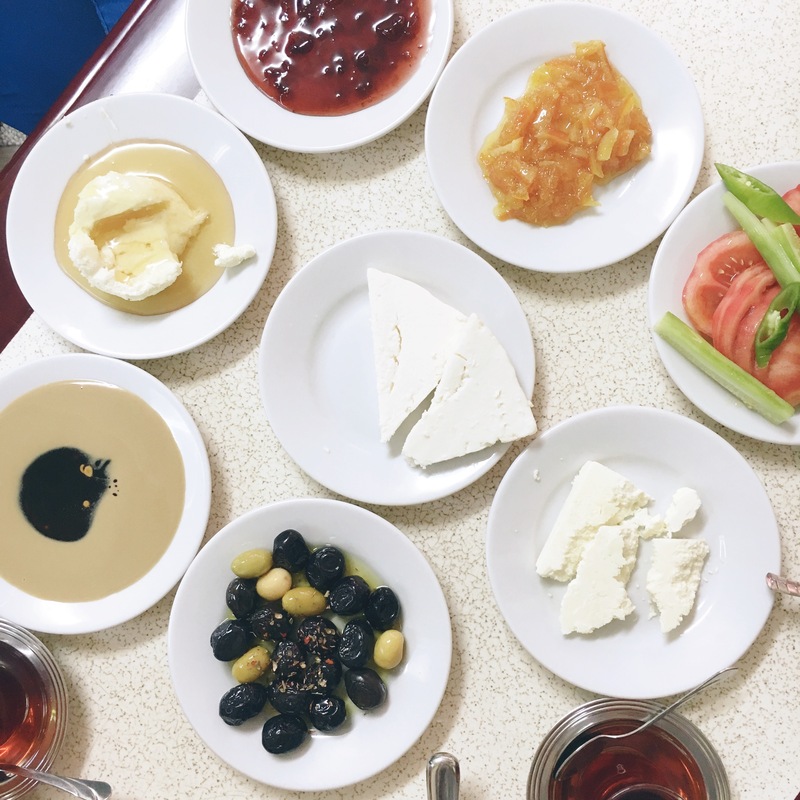 Turkish breakfast is definitely a thing with meats, cheeses, olives and always bread. They brought out an assortment of small dishes for us to try. My two new faves that we tried were bal kaymak, water buffalo clotted cream with honey and tahini mixed with grape molasses, aka Turkish peanut butter. 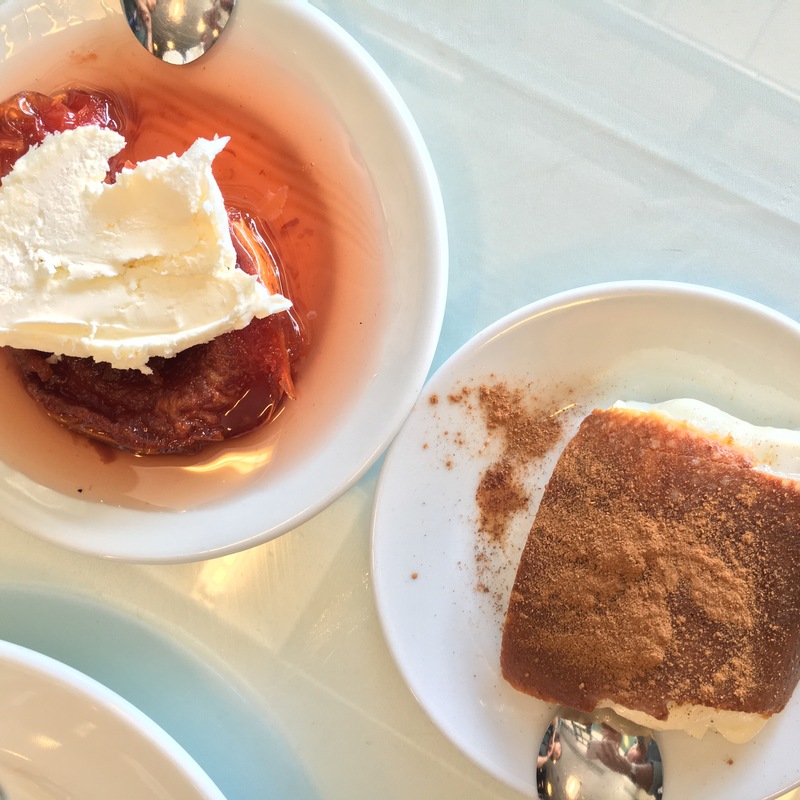 We had more bal kaymak later in the day on a dessert…seriously killer! 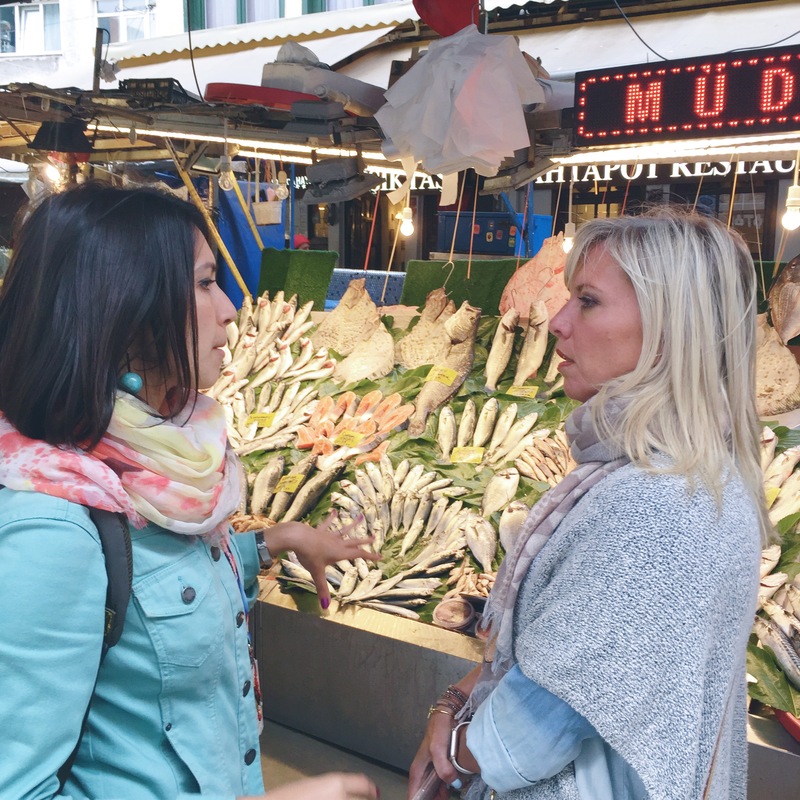 Before taking the ferry to the Asian, side we walked though a fish and produce market. 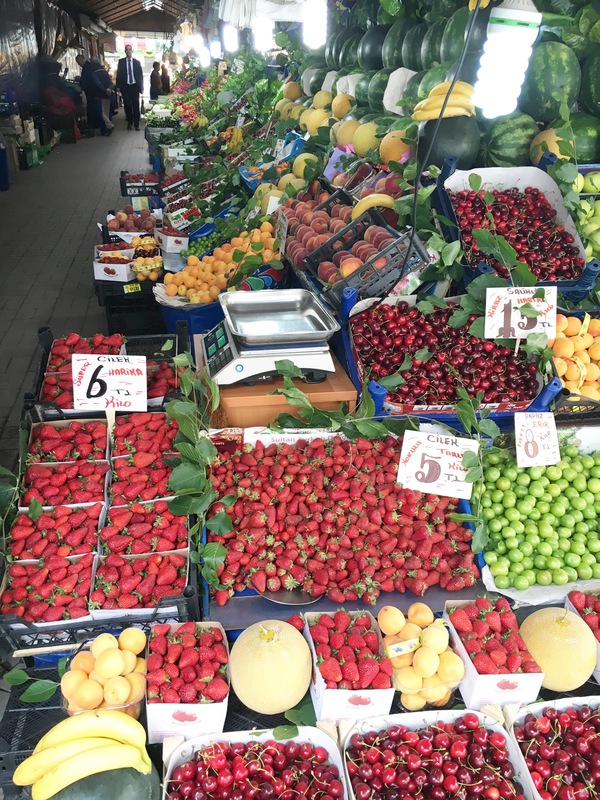 Each neighbourhood in Istanbul has their own fresh markets…it’s like there’s a Granville Island in every neighbourhood. We met the a produce vendor who gets up every morning at 4am to buy fruits and vegetables and he sells them in the market until 11pm at night. I can’t even image. We took a ferry over to Üsküdar on the Asian side. 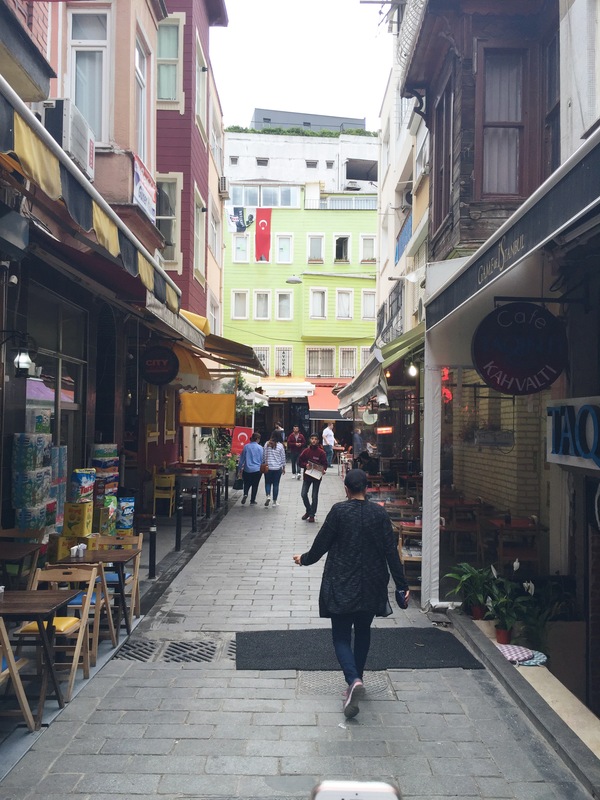 The Asian side is more residential and the food culture in Üsküdar is more traditional. 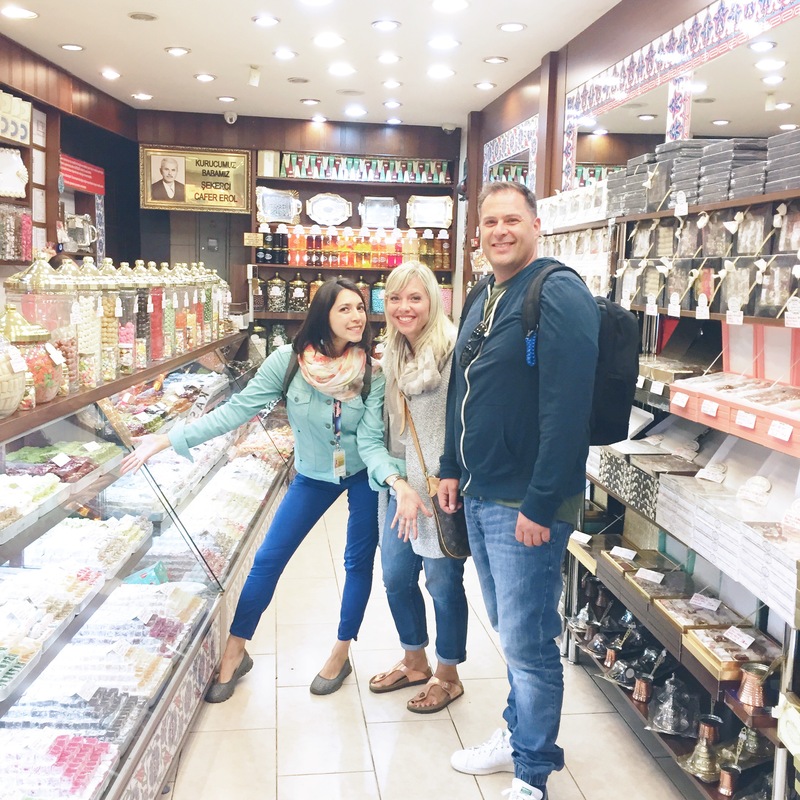 We spent most of our time there exploring the markets and visiting a cheese and olive shop, a butcher shop, a third generation candy maker, a honey shop and a pickle vendor. 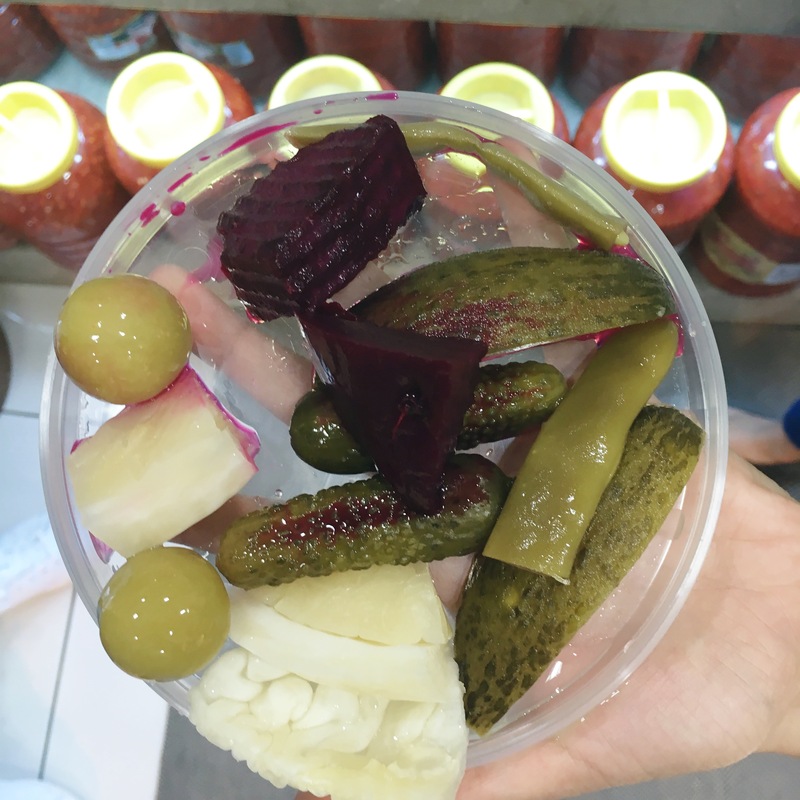 They pickle everything!! Loved the beets especially. 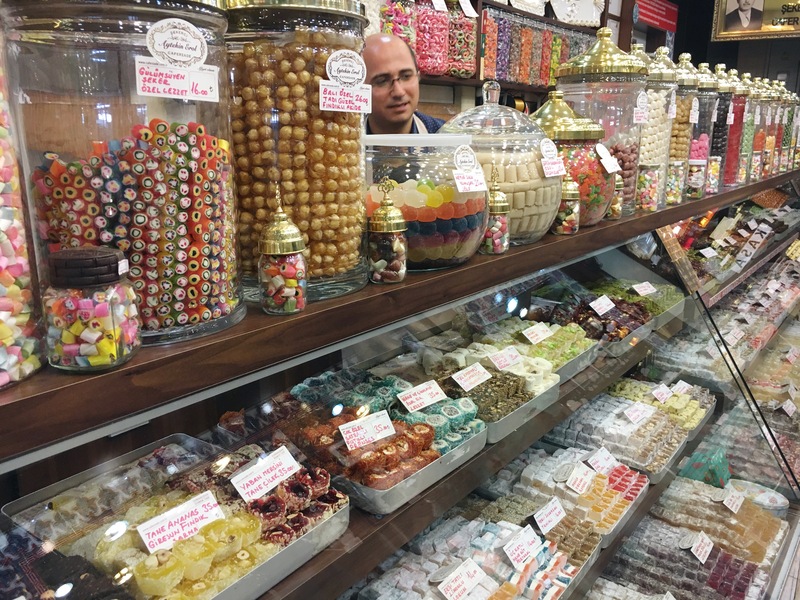 A few highlights from the market were learning about Turkish delight and we loved the traditional rose flavour. We also stopped for Turkish coffee, which Jason and I loved. I will need to devote a post to Turkish coffee and tea…it’s a serious thing there and so much history behind both. 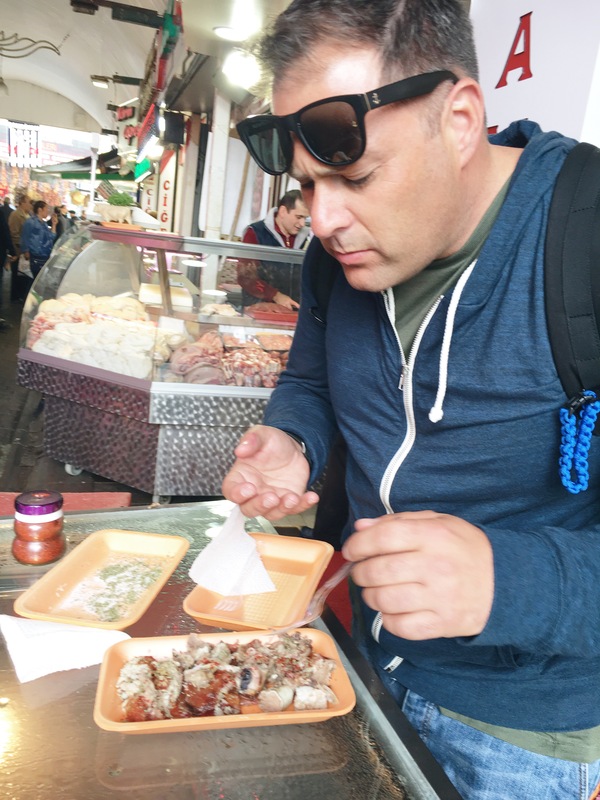 We really enjoyed everything we tried and I was only diced out once…with the sheep head. So, butcher shops send out their sheep heads to bakeries where they are cooked in the ovens and then served as a delicacy. Jason was pretty stoked to give it a go. I was much more cautious, but I can stay I tried it…we will leave it at that. Seafood is a big thing in Istanbul as well. We tried hamsi, anchovies coated in corn flour and fried. You eat a few wrapped in a large arugula leaf with a bit of white onion and fresh squeezed lemon. Now it was time for lunch. Ok, we were starting to approach the penthouse of our stomachs so “tasting” was becoming key. Lokantsis or upper end cafeterias are a big thing in Istanbul as people don’t have a long lunch hour. You can walk into these cafeterias and pick premade hot or cold dishes and desserts, and have a full on lunch in a short period of time. 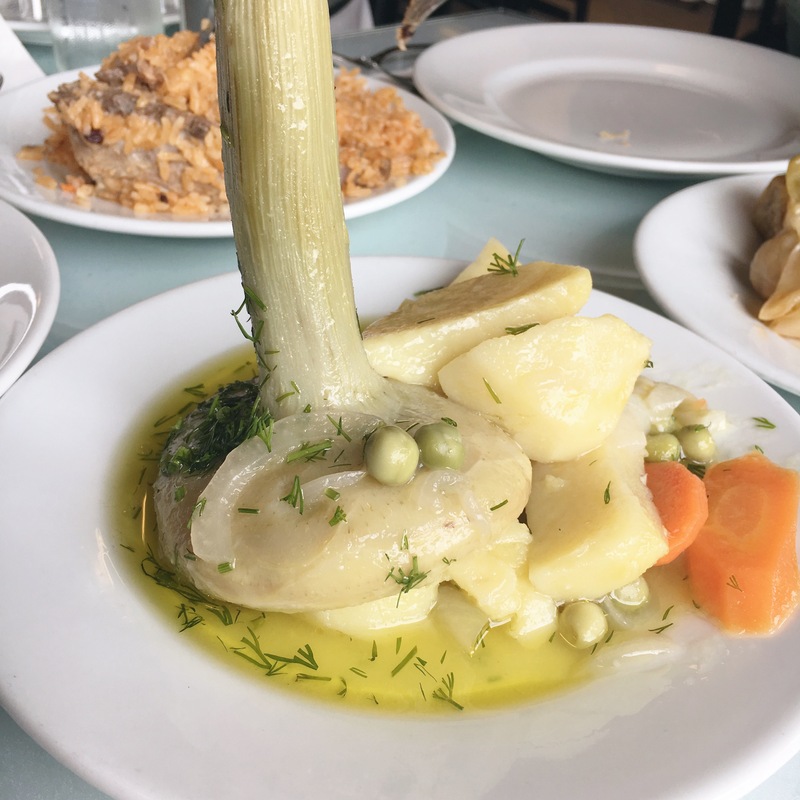 I especially enjoyed the artichokes which were in season and they are massive. I enjoyed the dolma, grape leaves stuffed with rice seasoned with cinnamon. We also had lamb on top of smoked, puréed eggplant…delish. For dessert we tried tavuk göğüsü. It was like a slice of thick, sweet, milky custard topped with cinnamon. Jason was digging it big time. Ipek asked if we knew what it was made from. There was a familiar flavour, but we couldn’t place it. Chicken….yes, it’s also known as chicken breast pudding. 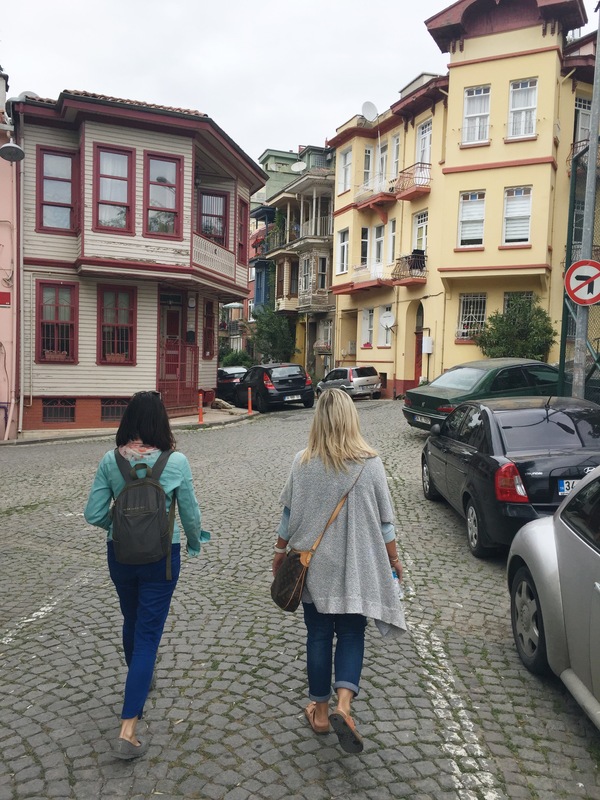 We took a short bus ride after our late lunch to Kuzguncuk…a beautiful multicultural area with Christian, Jewish and Muslim influences. The tree lined streets make it a popular place for wedding photos. We passed by an amazing looking bakery. Apparently the French had some influence and that’s why bread, and in particular, French bread, is offered at all meals. 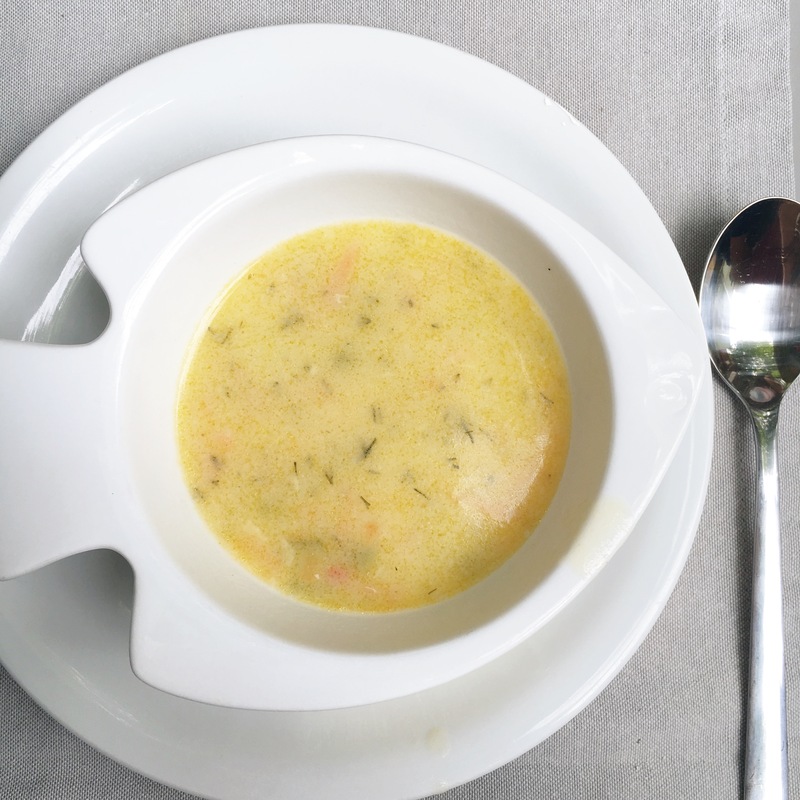 We tried some Balık çorbası, fish soup, homemade at a small cafe. It was yummy but I was so full at this point. We had such a nice visit with Ipek…I don’t think any of us wanted the day to be over. I felt like we made a new friend, ate the most amazing Turkish food and learned so much about the culture. 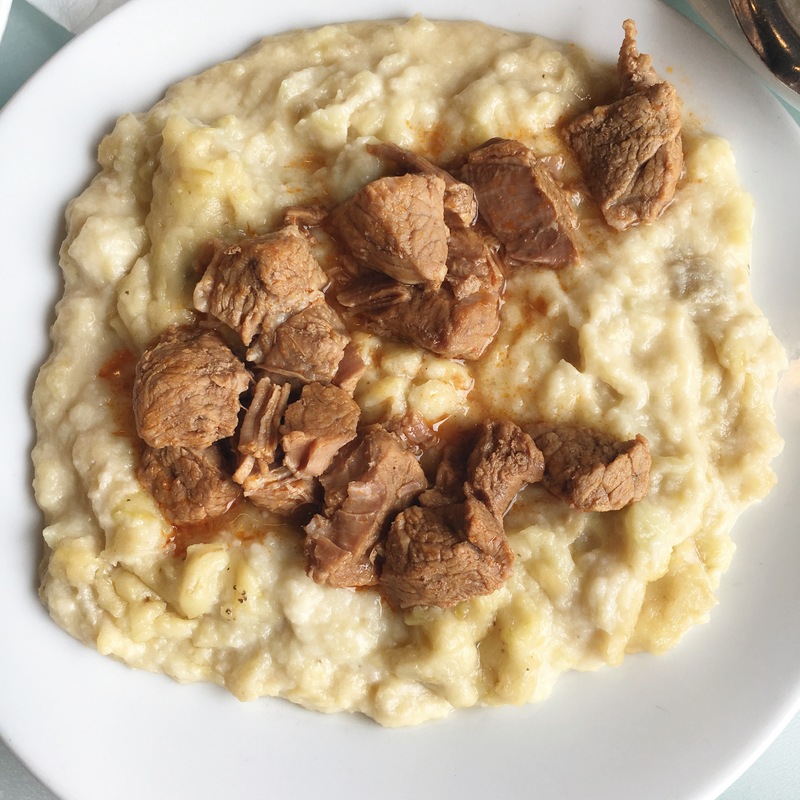 You honestly cannot go to Istanbul without doing a Culinary Backstreets tour. 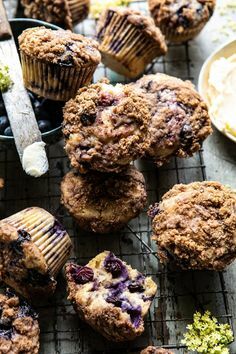 They also have foodie tours in many other cities around the world, so if you are travelling make sure to check out their site.